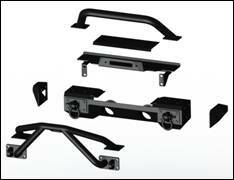 Suwanee, Ga. (March 5, 2013) – Following the successful introduction of its XHD Modular Aluminum Bumper System, Rugged Ridge today announced it has developed an All Terrain Modular Bumper System made from steel for 2007-2013 Jeep JK Wrangler. Modeled after its XHD Modular Bumper System, Rugged Ridge set out to create an affordable, yet strong and functional bumper system for the budget-oriented consumer. Offered at a suggested retail price of $600.00 or less, the All Terrain Bumper System includes many of the same features as bumpers priced at $1,000.00 or more. 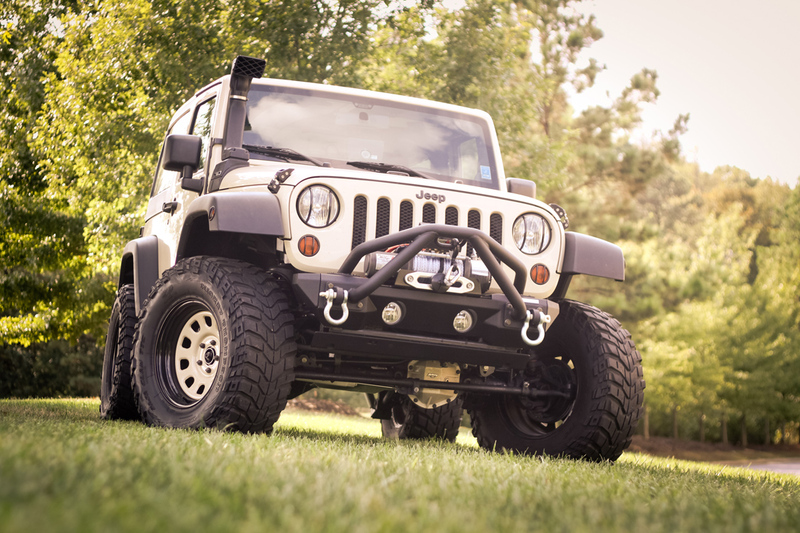 Rugged Ridge’s All Terrain Modular Bumper System is constructed from durable black powder coated steel and is engineered to offer the highest levels of functionality. Similar to the company’s modular aluminum bumpers, Jeep owners can customize their bumper to fit their specific needs by adding an all-new All Terrain Double X Striker and removable winch plate cover – both exclusive to the new bumper system. “We realize that as older JK Wranglers are getting second and third owners, investing in aftermarket parts and accessories may be looked at differently. We know that many Jeep owners are looking for value wherever they can, and our new All Terrain Modular Bumper System caters directly to this segment of the market.” said Patrick Bennett, Product Development Manager at Omix-ADA. 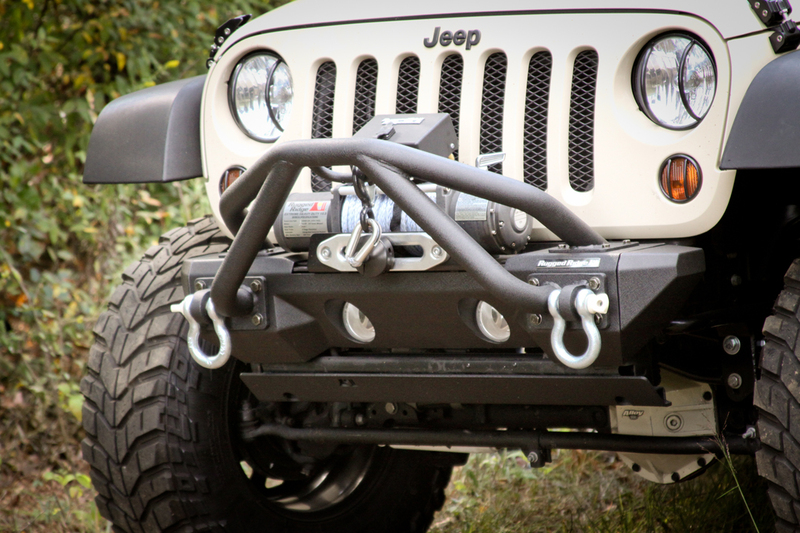 The Rugged Ridge All Terrain Modular Steel Bumper System is covered by an industry leading five-year limited warranty and is available online and through select Jeep and off-road parts/accessories retailers nationwide, starting at $319.99. For more information on Rugged Ridge’s complete line of high-quality Jeep and off-road products, or to find an approved retailer, please contact Rugged Ridge at (770) 614-6101 or visit their website atwww.RuggedRidge.com. Omix-ADA®, Inc. is the world’s largest independent manufacturer and wholesaler of Jeep®, truck and off-road parts, accessories and floor liners. For nearly two decades, Omix-ADA has designed, tested and manufactured more than 15,000 of the highest quality restoration and replacement parts and accessories. The Omix-ADA family of brands, Rugged Ridge® and Alloy USA® are distributed throughout the USA and in more than 50 countries worldwide. For more information, please call Omix-ADA, headquartered in Suwanee, GA at 770-614-6101 or visit http://www.omix-ada.com.